Directions Combine the olive oil with 1 cup water in a large skillet and heat over medium-high heat. 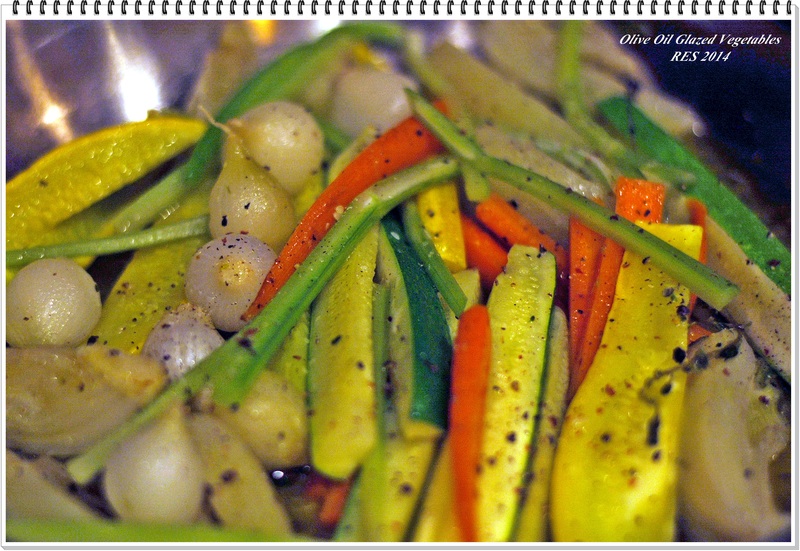 Add the thyme and then the vegetables in stages, starting with the heartier ones, like fennel, carrots and onions. Bring the liquid to a boil, cover the pan with a lid or, even better, parchment paper laid directly on the vegetables, and cook the vegetables for about 10 minutes, tossing occasionally. You’re not trying to color the vegetables, so adjust the heat accordingly. Add the more tender vegetables, such as zucchini and summer squash, as well as the celery and continue cooking until all of the vegetables are tender, another 5 minutes or so. Remove the vegetables to a serving dish with a slotted spoon, drizzle with a little of the flavorful oil from the pan, and keep warm. Season to taste with salt and pepper.